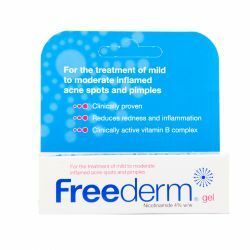 Freederm Treatment 25g Gel is a translucent gel containing the active ingredient Nicotinamide. Nicotinamide is an anti-inflammatory which helps reduce swelling, redness and tenderness of pimples and spots. 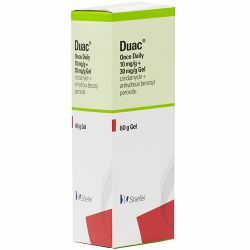 It is available as a 10g or 25g tube and is suitable for use in adults, children and the elderly. Freederm Treatment 25g Gel is used twice a day. Before use, you should make sure to wash the area of skin to be treated. Gently pat the skin dry. Avoid rubbing the skin as this may aggravate the skin. Once done, apply a thin film of gel and gently massage it in. Continue using the gel in this way for as long as necessary. Depending on the severiy of the acne, it may take several weeks before you see a real improvement in your skin. Freederm may cause irriation if it gets into the eyes or mouth. If this happens, wash the areas with plenty of water. If the irritation persists, speak to your doctor or pharmacist. Do not worry if you occasionally forget to use the gel, just carry on using it when you remember. If you accidently swallow any of the gel, seek medical advice immediately. The active ingredient in Freederm Treatment 25g Gel is nicotinamide. This is 4% w/w. 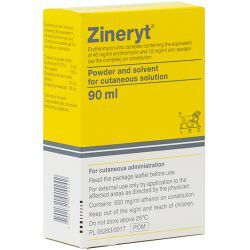 Other ingredients include aluminium magnesium silicate, hypromellose, citric acid anhydrous, macrogol lauryl ether, ethanol anhydrous and purified water. Freederm Treatment 25g Gel should not be used if you are allergic to any of the ingredients in this medicine. You should take care when applying the gel - only apply it on your skin. When using it on your face, keep it away from your eyes and avoid getting it inside your nostrils, on your lips or in your mouth. Depending on how sensitive your skin tends to be, it is a good idea to initially test the gel on a small area of skin, then waiting for 24 hours before applying to larger areas. This is especially advisable if you have unusually sensitive skin or if you are treating your face. Freederm is not known to affect, or be affected by, any other medicines, but it is worth mentioning to your doctor or pharmacist that you are using Freederm before taking other medicines. There are no known potential risks when using Freederm during pregnancy or breast-feeding, so caution is advised when using it. 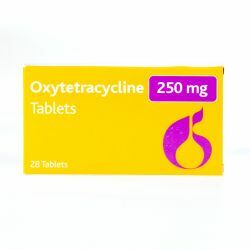 As with any other medicines, you should speak to your pharmacist or doctor about it before use. As with all medicines, Freederm Treatment 25g Gel can cause side effects, although it has been specially designed for use on all skin types, including problem skin. Freederm can cause local skin dryness, irritation, peeling, redness, swelling or burning sensations can occur. If any of these effects occur, you should speak to your doctor or pharmacist.